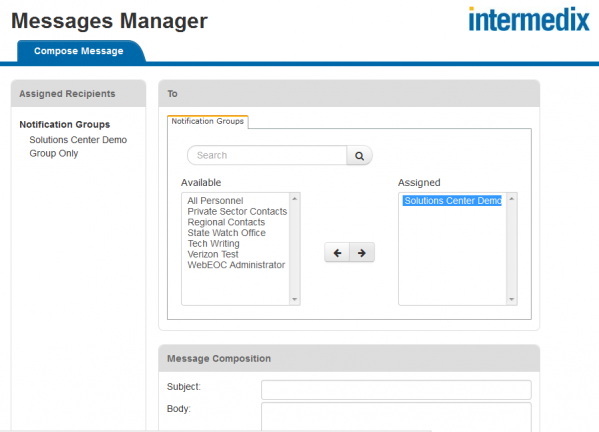 The Messages Manager plug-in provides an easy-to-use tool for sending messages to WebEOC® users and external recipients. It allows you to send messages to individual users as well as to groups and positions. 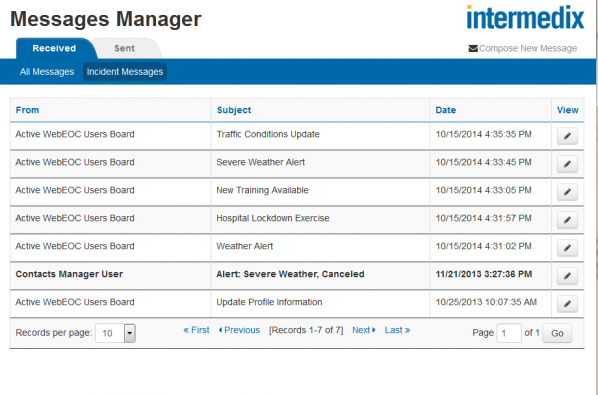 You can create notification groups of any combination of WebEOC users, positions, and contacts. These notification groups are available for selection when users compose messages using the Messages tool, or through status boards which have been integrated with the plug-in. Send notifications to WebEOC users. 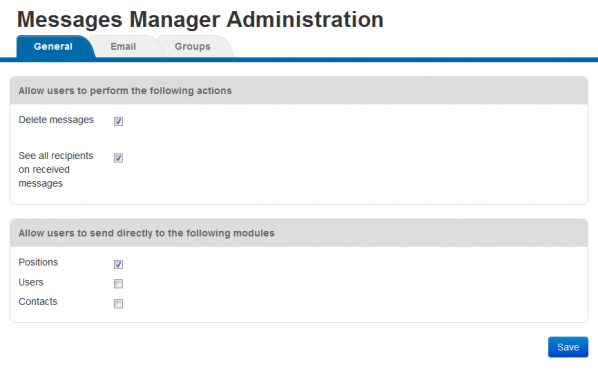 Send notifications to email accounts outside of WebEOC. Create notification groups that include users and positions. If you have the Contacts Manager plug-in installed, you can create notification groups using your contacts.